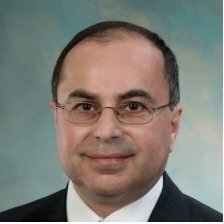 Dr. Salour is a Boeing Technical Fellow and the enterprise leader for the Network Enabled Manufacturing technologies. He is responsible for systems approach to develop, integrate, and implement affordable sensor based manufacturing strategies and plans to provide real time data for factory systems and supplier networks. He is building a model for the current and future Boeing factories by streamlining and automating data management to reduce factory direct labor and overhead support, and promote manufacturing as a competitive advantage. Dr. Salour’s accomplishments include machine health monitoring integrations, asset tracking and RFID system installations; and safety systems for AGV’s and human systems. Dr. Salour is the research investigator with national and international premiere universities and research labs. He is a member of Industrial wireless technical working group with the national institute of Standards and Technology. He also serves as a committee member for ASME’s prognostics and health management national society. Dr. Salour has 30 invention disclosures, 20 patents and 1 trade secret in manufacturing technologies.